Initiated by Whittier Middle School students in teacher Lela Himmerich’s class in 2011, this community-based project celebrates the remarkable ethnic diversity of the Whittier Neighborhood. From Ireland to Sudan this immigrant neighborhood, know to many as the ‘Ellis Island of the Plains’ continues to embrace its cosmopolitan culture, while being firmly rooted in the history of its working class past. Click on the image below to watch a beautiful documentary film about The World Comes To Whittier, made by artist Nicholas Ward. Situated along Elm Avenue in historic East Waco, the library’s mural honors the legacy of this vibrant community. 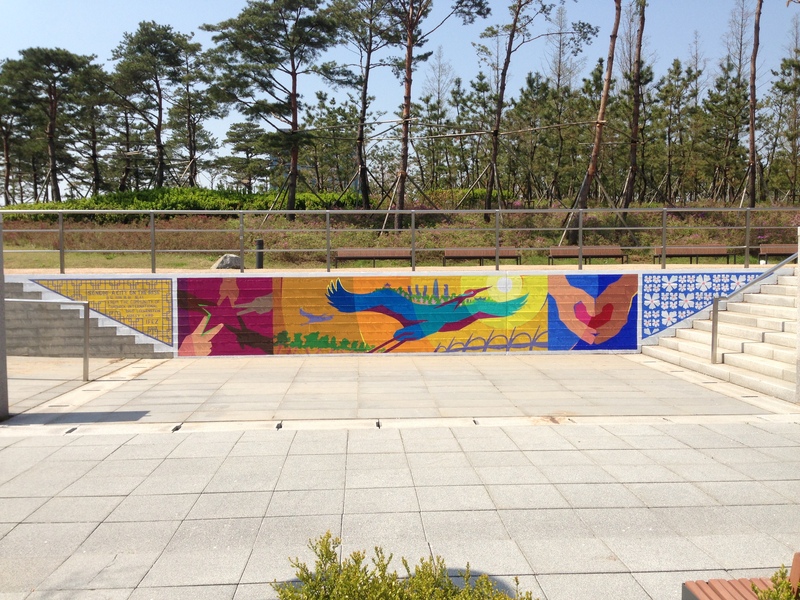 The mural design, built in three parts, begins with a series of panels along the bottom where Elm Avenue, Paul Quinn College, the Alpha Theater, Kermit Oliver, Doris Miller and Juneteenth are remembered. Above, a series of symbolic pictograms refer to East Waco’s cultural, geographic and economic life, while the top of the mural takes inspiration from the tradition of hand-painted signs popular here. Click on the picture below to watch. 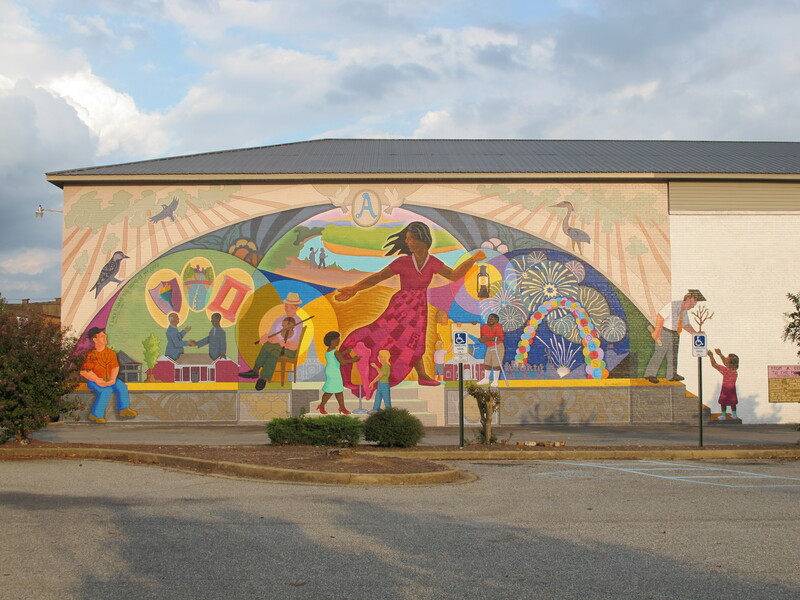 Known to many as the ‘Athens of Arkansas,’ Arkadelphia’s passionate and enduring support of education is the focus of this mural. Underneath a decorative archway of soaring pines trees, a young student holding a symbolic pine tree sapling considers his future and potential. His journey unfolds amidst references to Arkadelphia’s cultural history including Peake School, the Arkadelphia Promise, and the Hunter-Dunbar Expedition. All of these are centered around the majestic figure of a woman, symbolizing education and mentorship, who lights the way to the young man’s future. With both recognizable and lesser-known references to Topeka artworks, this mural celebrates the heritage and continued vitality of Topeka’s creative community. The design explores the interweaving of molecular forces and synapses as a metaphor for the contagious spreading of art. As Topeka reflects on its rich history and continues to cultivate art in its community the desire and ability to create becomes more activated and alive. 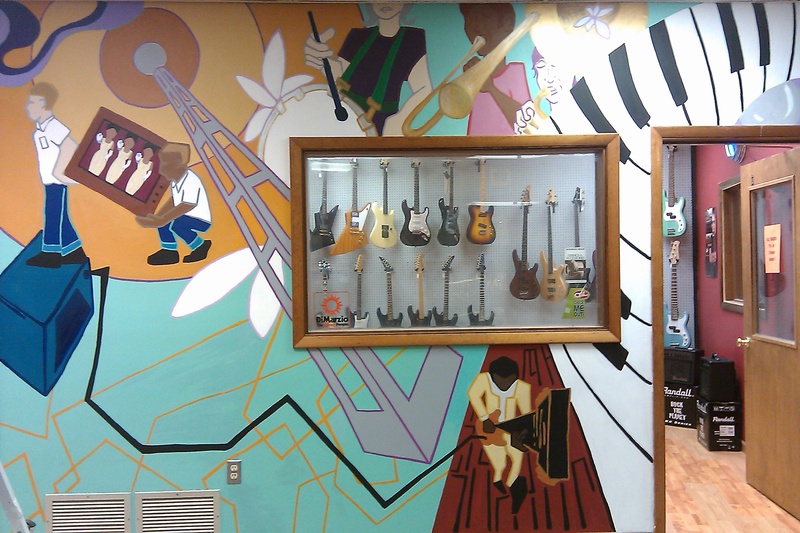 This mural was made in collaboration with David Schaffer owner and students and teachers from the Live Music Institute. It tells a story of American Music from delta blues to psychedelic light shows. 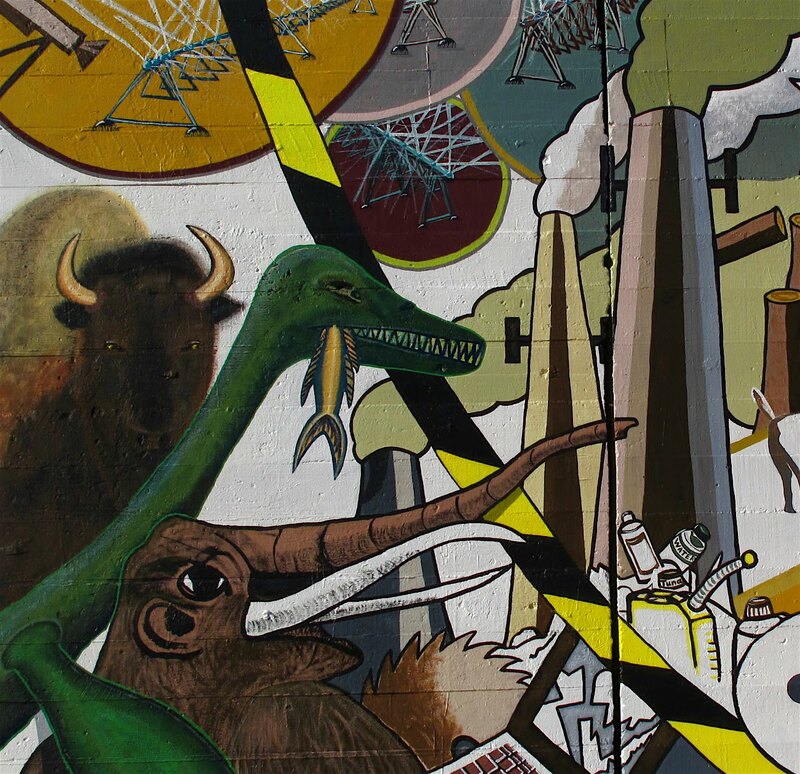 Created with the Topeka arts collaborative Chords and Oil, this mural reflects the desire of artists and neighborhood residents to connect with the local environment. It addresses the impact we have on the places we inhabit by showcasing threatened and endangered species of northeast Kansas, framed by sources of pollution on one end, and the road to a more sustainable future on the other. This whimsical mural celebrates Elmhurst’s 100th anniversary, including many of the people and places that make it a vibrant and unique neighborhood. From the Shawnee County Public Library to the floating typewriter of the columnist known as “Peggy of the Flint Hills,” the mural juxtaposes historical images with glimpses of current neighborhood ‘goings on’ including local kids at play, architecture and wildlife.